Common questions we get here at Solid Gold Northland are; who developed the Solid Gold line of holistic products for pets, how long have they been around and why do I hear it is such a good food. 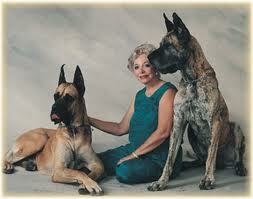 In the early 1970’s, Sissy Harrington Mcgill, a schoolteacher and Great Dane fancier, took a trip to Germany to purchase a Dane. In Germany, Sissy found that the Dane’s seemed to live longer than here in the States. She figured there were three main points that would play a factor; genetics, care and diet. She knew the Danes in the U.S. and Germany were from the same gene pool. We certainly loved and cared for our dogs here in the U.S. as much as they did in Germany, so that left diet. In Germany, Sissy found the pet foods were free of fillers and the common grains, such as soy, wheat and corn as well and chemicals and preservatives. She returned to the U.S. bringing samples of German foods with her. She had these formulas analyzed. Sissy then began to work on a formula for her Danes, determined to develop an all natural food that would help to increase their quality of life as well as their life span. In 1974, Sissy’s product line was launched with “Hund-n-Flocken” dog food. The fact that Sissy created a natural line of pet food did not always sit well with the already established commercial pet food industry or the FDA. Attempting to bring to market natural food and nutritional supplement for pets has been an all-encompassing commitment to pets for Sissy. It has not been an easy journey or path to be on, as roadblocks have been around many turns. Just as nutritional supplement manufacturers, and holistic health care practitioners, Sissy has fought for Rights to Freedom of Choice in Health Care. Why do so many pet owner recommend Solid Gold? Using Sissy’s Solid Gold product line, pet owners have come to see and believe that diet and nutrition does make a difference in the life of their pets’. Solid Gold uses high quality meats, without the by-products. Healthy and non-allergic grains, like brown rice, amaranth, millet and quinoa, oils offering a healthy balance of omega 3 and 6 and always the inclusion of fish. Pets health and well-being respond quickly to these healthy ingredients and pet owners see such noticeable improvements and benefits that they are become lifelong feeders of Solid Gold pet foods. 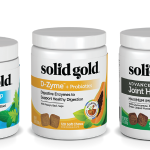 Most of Solid Gold’s ingredients can be found in your health food stores. 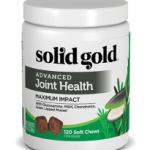 If you too have become more health conscience, or are frustrated with challenging health problems, Solid Gold Pet Products may be just what you’re looking for. Solid Gold products are readily available at independent pet supply stores, find a location near you and find out how fun it is to feed your pet!